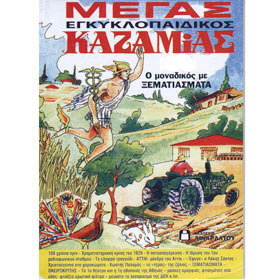 Kazamias is an annual Greek almanac covering events, astrology, dream explanations, predictions, and stories relevant to the New Year. This particular edition covers the process of Ksematiasma and how it is performed. This is the 2019 edition. Content is in Greek. Also available are Almanacs from previous years.